Volume 1 includes "The Big Lie, A Star in the Breaking, " and "The Not-So-Great Escape." Volume 1includes The Big Lie, A Star in the Breaking,and The Not-So-Great Escape. 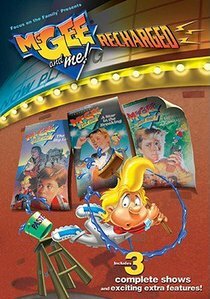 About "Collection #01 (#01 in Mcgee & Me Series)"